"Thanks. It's a small word, but within these letters are hidden. 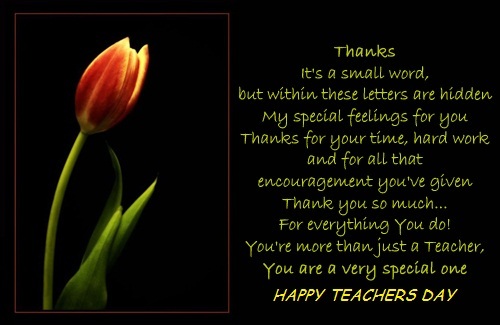 My special feelings for you thanks for your time, hard work, and for all that encouragement you've given, thank you so much... For everything you do! 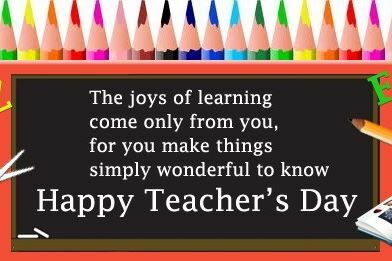 You're more than just a Teacher, you are a very special one. HAPPY TEACHERS DAY." Below you are going to find this ans some other cards to surprise your teachers. 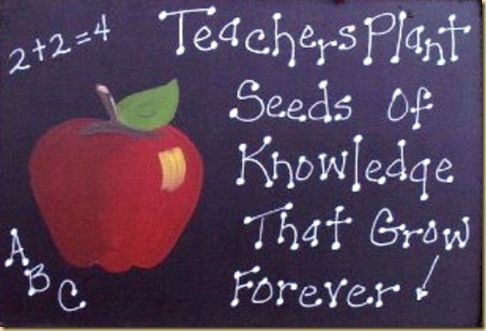 Teachers plant seeds of knowledge that grow forever. 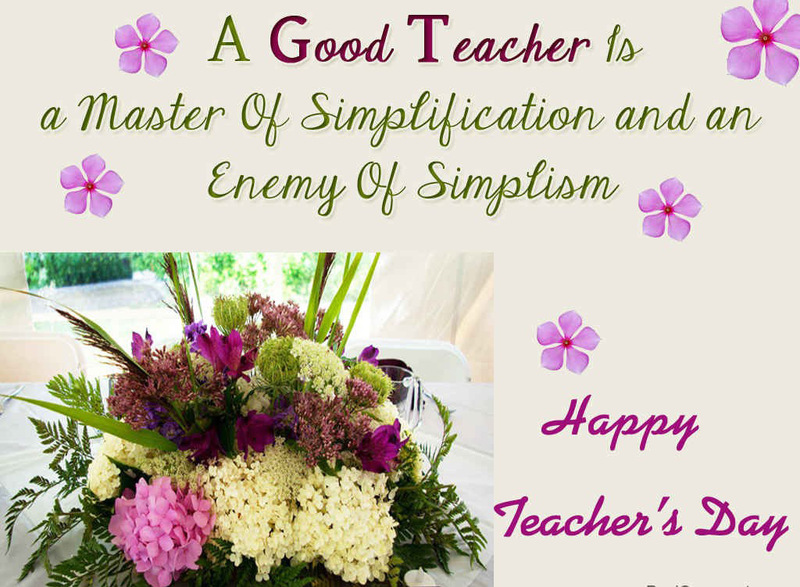 A good Teacher is a master or simplification and an enemy of simptism. 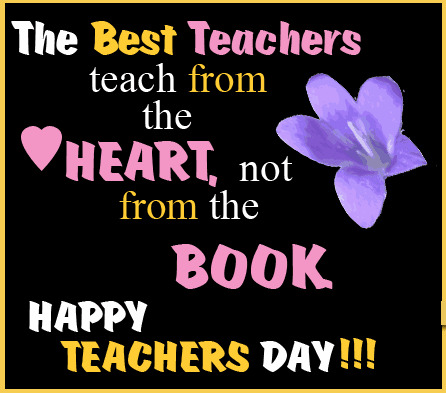 Happy Teacher's Day. 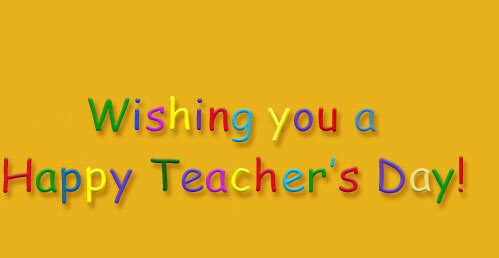 A colorful message that says: Wishing you a Happy Teacher's Day! 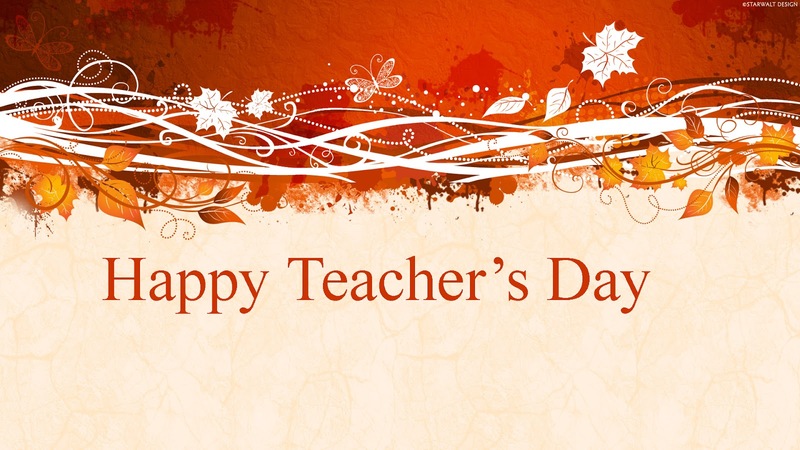 Happy Teacher's Day with some reddish and orange flowers. Thanks. It's a small word, but within these letters are hidden. 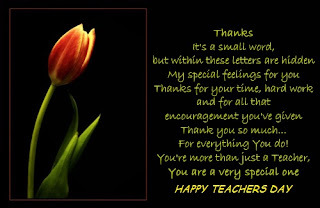 My special feelings for you thanks for your time, hard work, and for all that encouragement you've given, thank you so much... For everything you do! 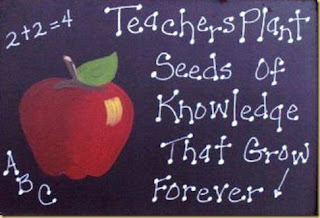 You're more than just a Teacher, you are a very special one. 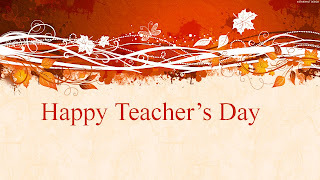 HAPPY TEACHERS DAY. The best teachers teach from the heart, not from the book. Happy Teachers Day!!! 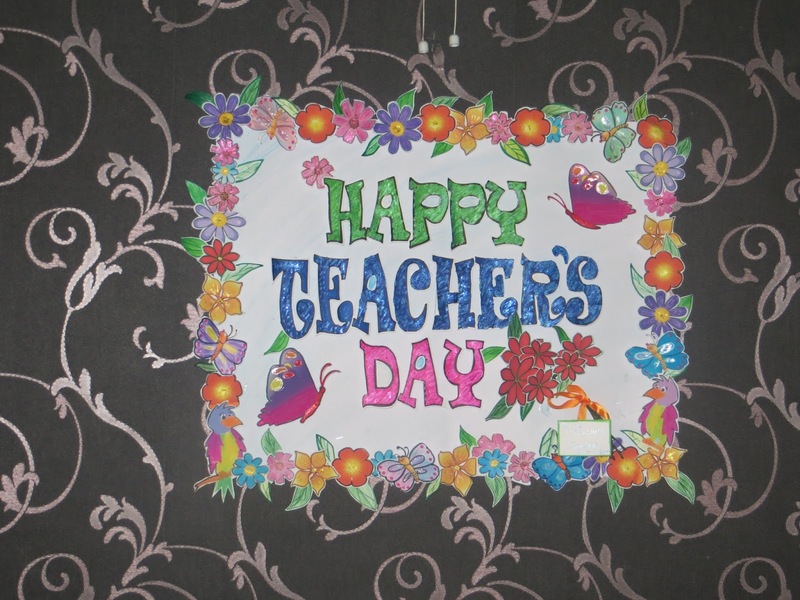 Happy Teachers' Day with a colorful landscape. A card with some pencil and a message that says: The joys of learning come only from you, for you make things simply wonderful to know HAPPY TEACHER'S DAY. 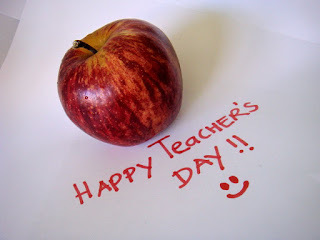 Happy Teacher's Day!! with a red apple. 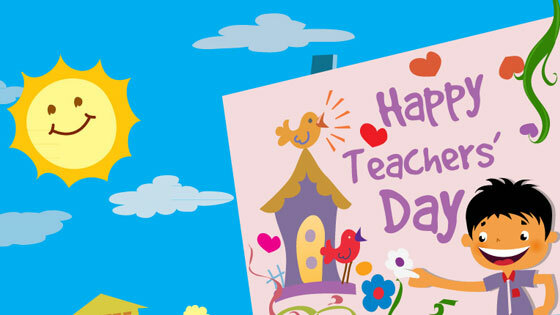 In this card we can see some pink flowers, birds and the phrase "Teacher's Day"
Happy Teacher's Day, with colorful letters, butterflies and flowers. I hope you have enjoyed these cards and messages for Teachers Day.